As we launch into 2018 it seems a really good time to think about what happened in 2017 as it whizzed by. The first milestone was the successful completion of the Coastal Communities Fund project which we worked on with Eastbourne Borough Council. That came to an end in February having met all its major goals and exceeded many of the important ones. We were really grateful that the Council chose us as partners as it allowed us to test the concepts of “TechMatch” with some A Level Computer Science Students and to see whether there’s really a demand for after school sessions which allow young people the chance to make things with a variety of technological tools. We were also delighted to be able to do our bit to support local creative and digital companies in recruitment, understanding their needs and in generally raising their profile in the town. The downside of the end of that project is that our main source of funding came to an end. We were prepared for that and we were really lucky that Sussex Downs College offered us some space which would help reduce our costs. We said a fond farewell to Kestrel House, packed our boxes and headed across town. We were also extremely grateful that several local businesses stepped in to offer us some financial and other technical support. We’re not out of the woods, financially speaking, but the Elves are beavering away (can Elves beaver?) to find alternative sources of funding to ensure we can keep the costs of sessions as affordable as possible. We firmly believe that no one should be excluded from TechResort on the basis of cost. 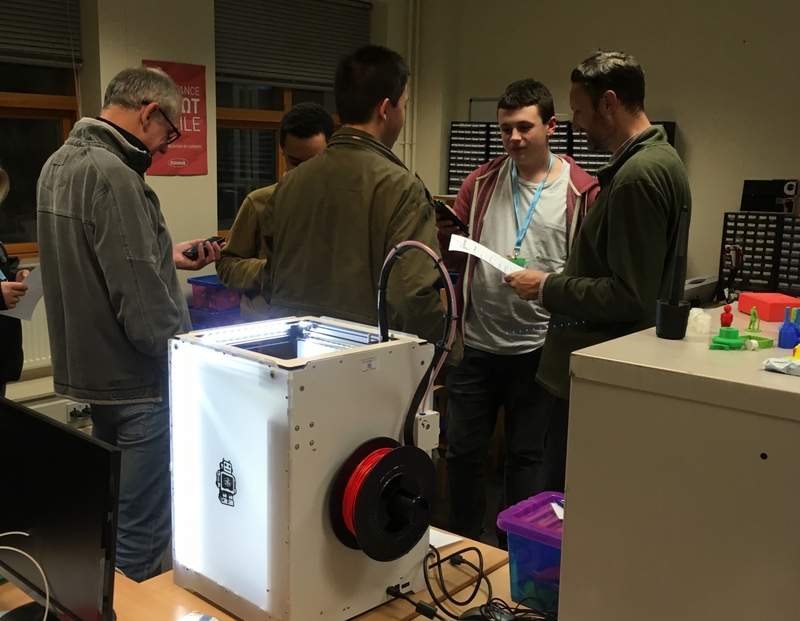 What’s fantastic is that TechMatch has not gone away – it’s currently evolving at Sussex Downs College into something bigger, better and more flexible. It’s all very exciting. April saw us move to our new space and we love it! Being on an education campus means there are other people to work with. One of the projects we’re about to start work on is with motor vehicle students who are using their car bodywork skills to build a life-sized Dalek. Our Teens group have started working on some 3D-printed parts and we’ll be moving onto electronics, lights and sounds in the forthcoming months. 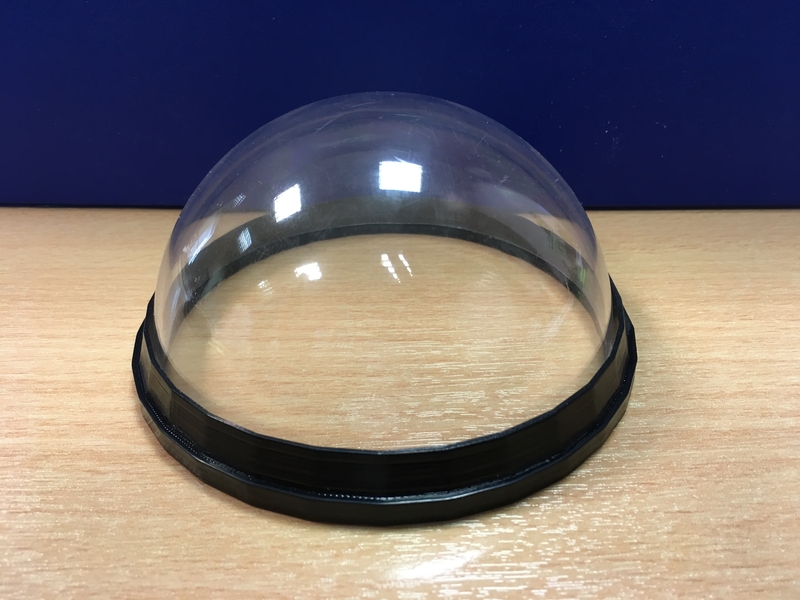 Another excellent piece of work by our Teens group was to complete the “proof of concept” model for a device that can be put in historic buildings and can send information about the building to phones and tablets. They designed the device from scratch and built it themselves. 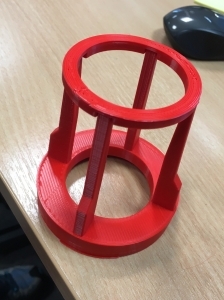 We call it Info-Fi and we’re hoping to get some funding later in the year to bring a device into production and put it in the Wish Tower on the seafront. Our younger attendees have enjoyed a huge range of sessions over the year – from photography and making electronically enabled paper masks to learning about Raspberry Pi computers and Lego Robotics, coding virtual reality environments and in-depth exploration of 3D design and printing techniques. Throughout the year we’ve also worked with other organizations such as the East Sussex County Library and Information Service and the Devonshire Collective in Seaside to bring exciting, hands-on worskhops to as many people as possible. We’ve been very busy indeed! We’re just about to launch into the new term’s after school sessions and you can book them now. We’re also planning a load of new sessions so that even some of our “old lags” can come back and do something new. Finally – it wouldn’t be right to end the year without doing a huge shout-out to all our Elves. Their enthusiam, willingness to learn new stuff and to pass on their enthusiasm to youger people is what makes TechResort the fabulous organisation it is. So – onwards, and upwards into 2018!